- a method of building macro economic models and analyzing the results of political and economic decisions. 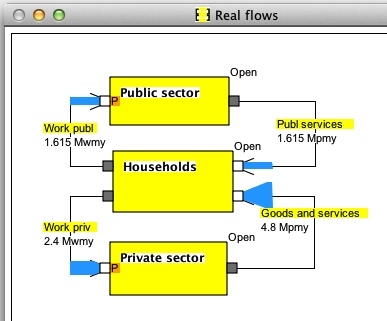 Model S1, static with public, households and private sectors. NOTE that this model shows a closed economy without inport, export and foreign money transfer. 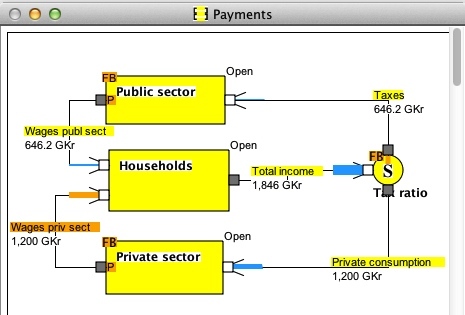 The model consists of three sectors plus a splitter that divides the total income into taxes and privte consumption. The Private sector has an internal process node = Priv production. 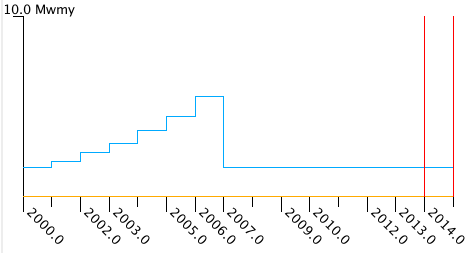 I have made a scenario ranging from the year 2000 to 2014. 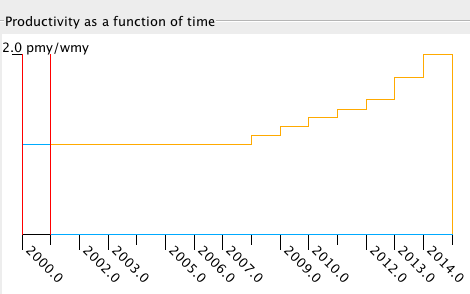 The years actually don´t represent a dynamic process, but a number of cases. 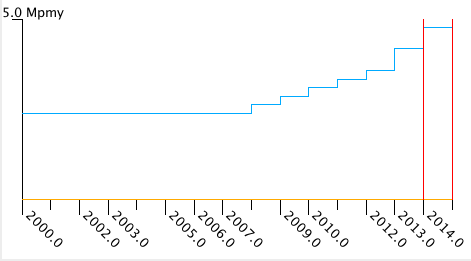 Total wages in private sector = 1200GKr/year. 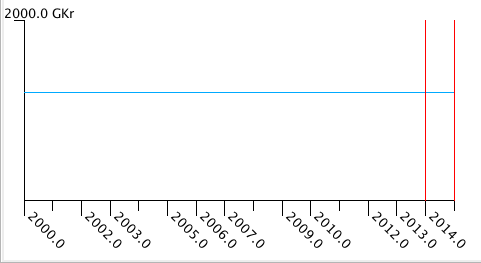 Tax ratio is varied from 0.35 to 0.65 from case 2000 to 2006 and held constant= 0.35 from case 2007 to 2014. 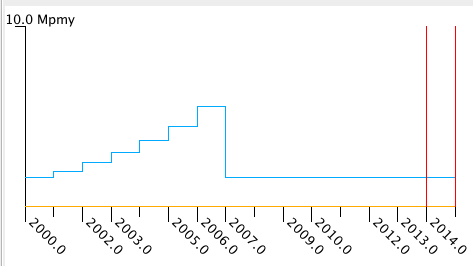 Productivity is held constant = 1 from case 2000 to 2006 and varied from 1.0 to 2.0 from case 2007 to 2014. Higher taxes results in more imployment and more services from public sector. It also gives a more even income distribution. Higher productivity in private sector results in more goods for consumtion but no more employment. There are more parameters to be varied. Each of these needs its own analysis. Increased production. This is the most common proposal for reducing unemployment. The assumption is that more people will be employed but we can understand from above that increased productivity can give less labour needs for the same production. Increased production may be desired when there is scarcity of cetain goods but too big production can threaten the environment by depleting resourses and cause polution. Shorter workdays. The argument for this is that more people can be employed and the eployees retain better health.